New York: Dey Street 2018. The year 2016 has led to the renewed political popularity of the verb “to happen,” especially in the indefinite passive voice. Politicians, commentators, and social scientists have reacted as if a meteor had stricken the global body politic. Nobody quite understood what hit them. Nobody was responsible. Every one grew anxious. A telling example is Hillary Clinton’s electoral self-postmortem, entitled What Happened? The articles collected in Can It Happen Here? Authoritarianism in America were written in the immediate aftermath of the shocks of 2016. They search for an understanding of what happened and are shot with anxiety for the future, without assignment of responsibility or assumption of agency. It is telling that the only article that discusses explicitly an inevitable decline of democracy is Jon Elster’s case study analysis of the quick decline of the first modern democracy that instituted universal male suffrage, but resulted in the election and subsequent dictatorship of Napoleon III. The title of the anthology paraphrases Sinclair Lewis’ dystopian satire about the rise of a European style Fascist dictatorship in America in the 1930s. As Noah Feldman noted in his contribution, the question is ambiguous. Strictly interpreted, in Sinclair Lewis’ sense, the answer is categorically negative. But the question is interpreted by most of the contributors as vague rather than ambiguous. “It” is associated with populism, authoritarianism, autocracy, dictatorship, tyranny, or concretely, without conceptual abstraction, as simply “Trump.” Most, although not all, of the contributors are academic jurists. Readers of Aspen Review Central Europe may be familiar with some of the names from the previous century when newly liberated East Central Europe attracted liberal evangelists to advise on what was known then as to democracy; but which may appear today as a stage in the transition of autocracies from left to right: Cass Sunstein, the editor, co-directed The Center for the Study of Constitutionalism in Eastern Europe at the University of Chicago’s Law School in the early 1990s with the contributors Jon Elster and Stephen Holmes (I should disclose that twenty years ago I spent a year as a postdoctoral fellow with Elster, and also worked at the East European Constitutional Review which was edited by Holmes). At the same time, con- tributor Bruce Ackerman interpreted 1989 as the liberal revolution. Oddly, only Stephen Holmes adopted here a comparative international perspective that compares post-Communist Europe with the United States. The question of “it” is not about what President Trump wants. He clearly has what the Greeks called a tyrannical personality and will go as far as he can to abolish democracy. Taking into consideration the unusual role of his children in the administration, he wants to establish, in my opinion, a hereditary absolute monarchy and have Ivanka succeed him with Jared as consort. Taking into consideration the unusual role of his children in the administration, Trump wants to establish, in my opinion, a hereditary absolute monarchy and have Ivanka succeed him with Jared as consort. The question is what he can get away with within the existing institutional and political constraints. The articles in the anthology may be divided into four groups: Reaffirmations of American exceptionalism that conclude that “it” cannot happen in the United States; denials of exceptionalism that foresee the possibility of convergence of American and European “it” politics; attempts to understand how “it” happened; and papers that are connected to the theme of the anthology obliquely or circuitously, attempting to relate old ideas to the post-2016 “it,” or analyzing cases in American legal history when the country’s rule of law weakened, usually in the context of war, but recovered after the emergency passed. Eric Posner makes the strongest case for American exceptionalism in this anthology. Posner has examined systematically the changes that would lead to a convergence of regime types between the United States and Hungary or Poland, a transition to authoritarianism, as we would have put it in the 1990s. In order to control the media, Trump would have to do more than insult and threaten it with libel laws and regulatory overreach, while bypassing it via Twitter to reach his base directly. He would have to get Congress to enact anti-sedition or defamation laws, and have them upheld by courts, despite the First Amendment. Trump would have first to take over Congress. “Some dictators prevail over the legislature because they are immensely popular and call on the public to punish legislative opponents in the polls.”(6) Posner was still unsure in 2017 whether Trump’s intimidation would suffice to control the Republican Party. Since, Trump has achieved this total control. The U.S. president has immense powers to act without Congressional approval, starting wars, imposing tariffs, changing regulations such as withdrawing from international agreements. The U.S. president has immense powers to act without Congressional approval, starting wars, imposing tariffs, changing regulations such as withdrawing from international agreements, imposing new immigration restrictions, and enforcing laws selectively against opponents while ignoring other laws. “But all these actions require the cooperation of the bureaucracy and the acquiescence of Congress.”(7) Both have been more forthcoming than Posner had imagined, though still far from sufficient for an authoritarian regime. Although Trump gained control over the Republican Party, he is far from controlling the federal bureaucracy, with the exception of the Immigration and Customs Enforcement (ICE) service that demonstrated its blind obedience when it executed immigrant child snatching policies without a single published case of civic disobedience. He failed to take control of the FBI by firing Comey, and the U.S. military is still independent of politics. Trump has no alternative militia to enforce his edicts. The young men and women with nothing to lose that carry out anti-democratic revolutions are missing. “Trump is hampered by the small number of truly loyal supporters who also have significant government experience and hence the ability to control the agencies they are asked to head. Independent political appointees and members of the civil service will almost certainly disobey any orders from Trump requiring that they violate the law and be put in legal jeopardy. Trump and the other illiberal authoritarians do not have totalitarian parties and secret police apparatus. A cheaper and easier solution then is to turn bureaucrats into independent contractors. He will also have trouble motivating them to obey even lawful orders that are greatly at variance with precedents, their political preferences, and their agencies’ historical missions.”(8) Trump’s lack of control over the bureaucracy is manifested in his continued attempts to intimidate and undermine it and in leaving many positions vacant even after wide resignations. Posner is right in his analysis, but it has an early “sell by” date for two reasons. First, alternative elites loyal to the Trump dynasty can emerge over time if the Trump family remains in power long enough. Second, the behavior of many careerists and opportunists, in and out of the bureaucracy, is predicated on the shared belief that the Trump episode is temporary and that those who fly too close to the sun will crash once the regime changes. If this ceases to be shared wisdom, opportunist bureaucrats may join opportunist Republicans in fearing and loathing their President in private while obeying him in public. The federalist structure of the United States delegates much of the enforcement of the laws to the states. Posner emphasizes that even if Trump controlled the federal bureaucracy, he would still need to work through state and local layers of government. In his article, Tyler Cowen makes a similar argument in a tongue-in-cheek criticism of Hayek’s libertarian anti-bureaucratic argument in The Road to Serfdom. 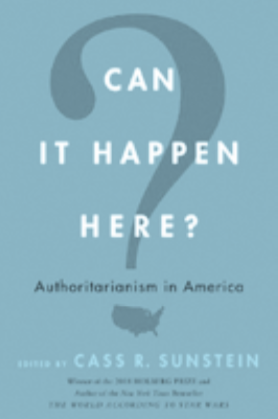 Cowen argues that a large state is too unwieldy for an authoritarian takeover. 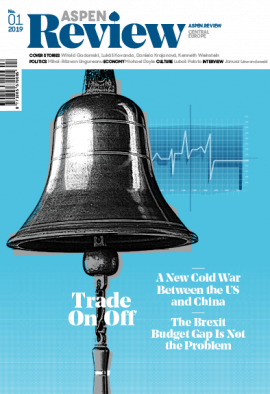 In contrast to Cowen’s argument, China and Russia have discovered a means to do just that. The totalitarian solution is an “onion” shaped bureaucracy where each layer is controlled by a deeper one, through the Party, the secret police, and its anonymous informers. Trump and the other illiberal authoritarians do not have totalitarian parties and secret police apparatus. A cheaper and easier solution then is to turn bureaucrats into independent contractors who do a job for the central government in return for a modest salary and the authority to rent their decisions to private interests. Over time, Trump may turn the US bureaucracy into this kind of bureaucracy from the top down, as the Trump dynasty and associate oligarchs set examples for those below them. Trump has been attacking verbally and attempting to bully the courts and his own Justice Department. Thus far, without a discernible effect. Trump has also been appointing many judges. A few principled men at the top of the Department of Justice are blocking Trump’s assault, although some of them are not likely champions of civil rights. As in the case of the bureaucracy, though Posner was right to note that the checks and balances have been holding, there has not been sufficient time for a Trump-loyal Justice Department and judiciary to emerge and opportunists still bet that this regime will pass. The federalist founders were not interested in preventing slavery, but in protecting the Republic from demagogues. American civil society seems vibrant. Posner identified civil society with still independent professionals, lawyers, scientists and academics. In American history, however, organized religions used to be the main non-governmental organizations. Religion in the United States has been chasing its decline in Europe independently of Trump. The endorsements of Trump by Evangelical leaders are a symptom rather than the cause of the decline in the power of organized religion to curb government and popular passions and lead a moral opposition. The same is true, non-incidentally, in Europe. With the help of Congress, Trump has demonstrated the social weakness of scientists and academics by ignoring their advice and by imposing a low tax on university endowments and income tax on tuition remissions to students, an intimidating shot across the bow of academia. Posner emphasizes rightly the interdependence between the institutions that check and balance the power of the presidency. They cannot work well without mutual support. The judiciary cannot check the executive, for example, without enforcement by the bureaucracy and protection by the legislature of its independence. Posner notes that over time, many small steps may breach the defenses against dictatorship. Sunstein made a similar argument for the effectiveness of constitutional checks and balances in maintaining America’s exceptionalism. The constitutional “DNA” of the United States was designed to preserve liberty against the kind of Caesarian challenge that Trump poses. The federalist founders were not interested in preventing slavery, but in protecting the Republic from demagogues. In Sunstein’s opinion, although the federal judiciary occasionally overstepped its constitutional role in history, the rise of the imperial presidency since the New Deal and the security administration since 9/11 pose the greatest threat to the federalist designs. Sunstein did not compare the United States with post-Communist Europe, but such a comparison would demonstrate the limits of exclusive reliance on well-written constitutions, institutional structures, and checks and balances. The “normative threat” to sameness does not, however, have an objective measurable meaning. Anyone can be constructed or deconstructed as a threat. Over time, and not a very long time at that, small anti-democratic legislative majorities in cooperation with like-minded executives, have managed to dismantle the constitutional checks and balances one by one to establish authoritarian regimes. If Trump and his Republicans win the next elections, a similar scenario can happen here as well. Tom Ginsburg and Aziz Huq presented a convincing counter-argument against American exceptionalism. They also considered the total collapse of American democracy as implausible; the United States is too rich and old for that sort of thing. A “burning Reichstag” scenario of the indefinite suspension of democracy, through the assumption of emergency powers, is implausible because it is cheaper for autocrats to slowly but relentlessly and insidiously curtail democratic institutions and traditions, with no sharp inflexion point. Contemporary authoritarians control the media either by enacting comprehensive and vague libel laws, or by owning it directly or indirectly through friendly oligarchs, and by manipulating social media. Authoritarians maintain legitimacy with their supporter base by dividing “the people” from constructed enemies or scapegoats such as elites or migrants. They dismantle the rule of law by packing the courts, intimidating judges, and scaring the bureaucracy into submission by firing or harassing bureaucrats until they resign pour encourager les autres, and by rewarding or punishing them through their salaries, promotions and other working conditions. Once the bureaucracy and judiciary are subdued, the executive unleashes them on political opponents or competitors. Revisions to election rules through gerrymandering techniques eliminate or radically disadvantage the political opposition. After changing the Hungarian constitution, for example, Fidesz won two-thirds of the parliamentary majority in 2014 with 45% of the vote. Ginsburg and Huq emphasize that most authoritarian power grabs were legal in a positivist sense, legislation was used to undermine legality and then kill democracy with a thousand cuts. “The US Constitution may be good at checking coups or the antidemocratic deployment of emergency powers, but it is not well suited to stall the slow decay of democracy.” (151) They further note that some of the hallmark policies of undermining democracy have already been tried in the United States, albeit on local levels: Wisconsin Republicans won 60% of the seats with less than a majority of the votes and North Carolina’s Republican legislators attempted to strip the powers of their governor once a Democrat was elected. Partisan appointments of judges and U.S. attorneys loyal to one party rather than the law can neutralize the judiciary as a check on power. A constitution cannot protect, preserve and defend a republic with too few Republicans. Equally important are future expectations. Ginsburg and Huq do not consider the U.S. constitution exceptional. On the contrary, they argued that it shows its age in not being well-adapted to the new challenges. An alternative denial of American exceptionalism is offered in Karren Stenner and Jonathan Haidt’s conceptually and methodologically flawed research that demonstrates the pitfalls of attempting to present rationalized personal biases as quantitative social science. They inferred from anecdotic evidence from the recent U.S and French general elections and the Brexit vote in the U.K, that there is an authoritarian political constant that encompasses a third of the electorate. They measured “the authoritarian” mentality by the values parents wish to impart to children. They demonstrated that these values are insufficient for predicting voting for Brexit, Trump or Le Pen, unless authoritarians are subjected to what they call “a normative threat,” a vague concept associated with threats to sameness or oneness, associated with immigration. They effectively scapegoated immigrants for authoritarianism by suggesting that the constant authoritarian third of the population segment can live with democracy if it does not encounter people who are different. During the previous round of authoritarian xenophobia in Europe, where German Jews were more German than average in cultural terms, were mostly natives of Germany, and were physically indistinguishable, the “normatively threatened authoritarians” had to construct them as “normative threats” by forcing them to wear yellow stars that identified them as threateningly different. Today, in the ethnically homogeneous states of East-Central Europe, authoritarians have to imagine a phantasmagoric absent presence of invading hordes of immigrant Muslims, in the absence of any real “normative threat.” It is simple to conclude then that “normative threats” exist only in the particularly narrow space between some ears. The question may be what activates an archaic “circuit” in the mind that has us seek scapegoats even when they are ghostly, phantasmagoric, hallucinatory shadows of people who are no different than the rest of us. The misinterpretation of the economic crisis as an evolutionary bottleneck may confound both authoritarianism and intolerance of difference. We may really be looking for a twenty-first-century chieftain to lead our tribe to expel the weakest food consumers in the tribe and attack the Neanderthals in the next waterhole. Stenner and Haidt’s conclusion flies off the handle of the regression analysis when they base it on what they call “common sense” and what others may call bigotry: “Common sense and historical experience tell us that there is some rate of newcomers into any community that is too high to be sustainable—that can overwhelm or even damage the host and make things worse for both old and new members.”(213) With more appeals to peculiar commonsense and reasonableness they call for a return of the tragedies of the 1930s, ignoring that anti-immigrant sentiments can take place without immigrants, as in Eastern Europe and Nazi Germany, and that massive immigration to places like Israel (that more than doubled its population around 1950) or Canada can be reasonably successful without driving authoritarians into the politics of rage. The arguments for and against American exceptionalism are convincing, but to different degrees in different time frames. The political and social legacies of the constitution are barriers, speed bumps, and toll booths on the highway to tyranny. They slow down, delay, and impose costs on democratic backsliding. But they cannot hold it off indefinitely. A constitution cannot protect, preserve and defend a republic with too few Republicans. Equally important are future expectations. As long as the “smart money” bets against Trump and the Republicans remaining in power beyond the immediate term, people who have careers, reputations, and opportunities to lose, will be careful not to publicly facilitate authoritarianism. A second term Trump victory would prove, however, that there are long term career prospects in the patronage of the Trump dynasty. The present democratic erosion may become then a landslide. A continuation will be provided in the next issue of the magazine. is the author of The Legacies of Totalitarianism (Cambridge University Press 2015), A Companion to the Philosophy of History and Historiography (Boston: Wiley-Blackwell, 2009) and The Philosophy and Politics of Czech Dissidence: From Patocka to Havel (Pittsburgh: Pittsburgh University Press, 2000).